A North Yorkshire law firm has been acquired by fast-growing Newtons Solicitors, filling a gap in its office network which runs between West Yorkshire and Teesside. 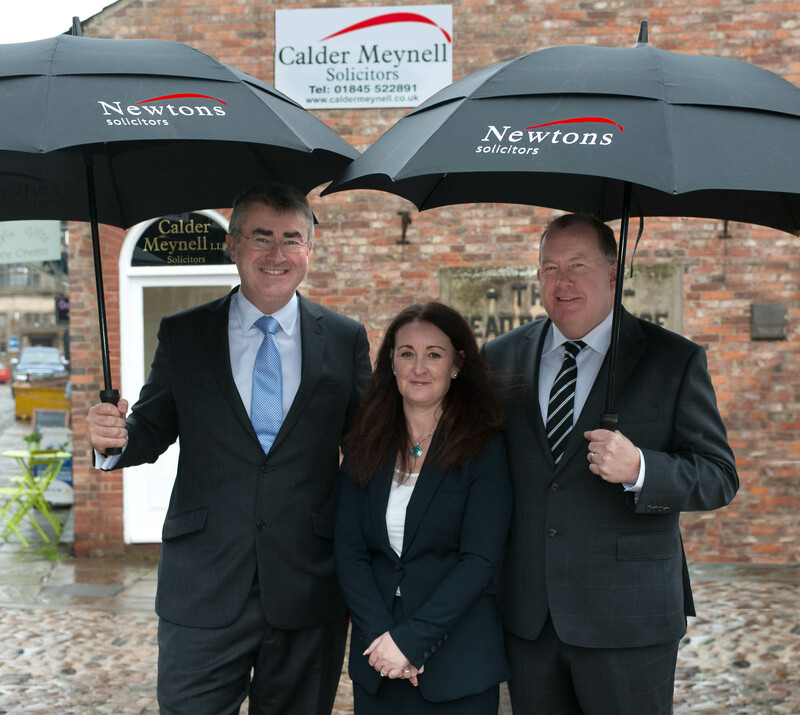 Calder Meynell Solicitors, which has offices in Thirsk and Northallerton, is to remain a separate legal entity as Calder Meynell LLP but will re-brand as Calder Meynell Newtons. The firm was founded by business partners, Kerri Calder and Howard Meynell, in 2011 and has grown to seven staff and a £300,000 turnover through services to the elderly, family law, agricultural and rural services and residential property. Acquiring Calder Meynell takes the Newtons Solicitors Group combined annual fee income to £4m per annum, a major step towards its £5m medium-term goal. Newtons Solicitors was founded by managing director, Chris Newton and his wife, Sarah, a co-director, in 2009 and, through acquisition and organic growth, has grown to 90 staff in a network of offices in Darlington, Harrogate, Ilkley, Knaresborough, Leyburn, Richmond, Ripon, Stokesley and York. Chris Newton, who negotiated the acquisition, says: “Calder Meynell’s offices will form an important geographical link within our group. We already advise several businesses in Northallerton who will be pleased that we now have an office in the town. “I’ve wanted Newtons Solicitors to have a presence in Northallerton and Thirsk for a long time and am delighted that this deal has completed and by the positive way that our teams have already started working together. Kerri Calder says: “We were attracted to Chris Newton’s proposition by the broad support within the group and the potential for further growth and development, including practice management and input from the diverse teams in the practice. Acquisition has been a major part of Newtons Solicitors Group’s growth. Chris and Sarah Newton acquired Hodgsons & Mortimer Solicitors, with offices Richmond and Darlington, in 2012, Geoff Mochrie Solicitors, Leyburn, in October 2013 and Thorp Parker Solicitors, Stokesley in 2014. Chris Newton says: “Our growth, through team work and good service, has enabled us to join forces with several high-quality firms enabling access to better resources in an ever-changing legal world.